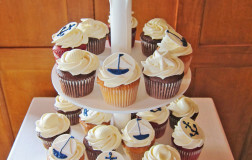 Be the first to review “Wedding Cupcakes 1” Click here to cancel reply. 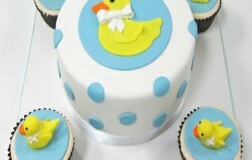 Ducks are on parade with these cute cupcakes and matching small cake. Fall never tasted this good! A beautifully scrumptious combination of apples and spice make this cupcake a perfect fall dessert. 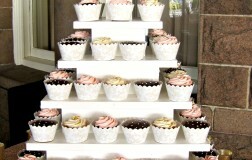 Pink, ivory, and brown make a beautifully sweet combination with this cupcake and cake tower. 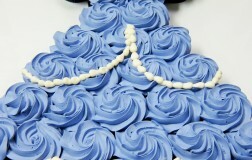 Cupcakes decorated with vanilla butter cream frosting to create a Princess Sofia dress cake. Flavors can be mixed for flavor options. 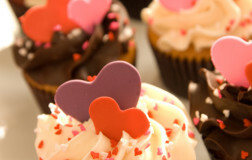 Best when cupcakes are served at room temperature. 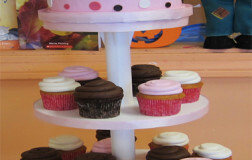 The favorite campfire treat can now be shared anytime throughout the year with these scrumptious cupcakes! 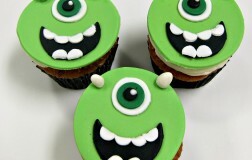 These are just so adorable and festive. Let us know if you want them packaged for someone special. Just love everything about this display. The attention to detail is amazing. 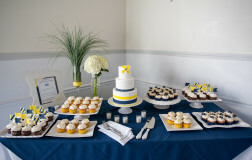 A special thanks to Armor & Martel Photography for providing us with these beautiful images. 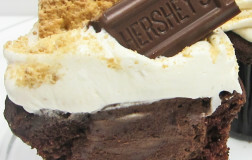 Coffee and chocolate never tasted this good! 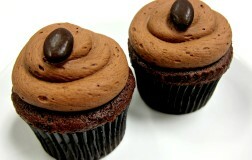 The mocha cupcake is perfect for the coffee lover. 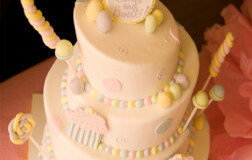 For the birthday girl with a sweet tooth--this whimsical cake is adorned with fondant cupcakes and candy in sweet pastel colors. 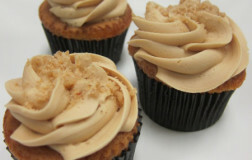 Spice up your vanilla cupcakes with a sweet swirl of caramel buttercream! 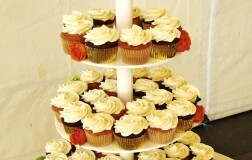 Our most popular cake flavor and filling combination is now available as an individual cupcake. Vanilla cake with fresh strawberries & champagne filling. 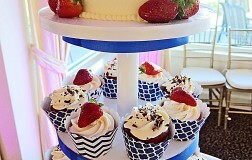 Fresh whipped cream tops the cupcake with a glazed berry. 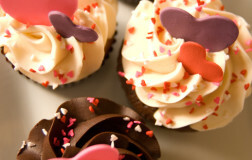 Although we do offer cupcakes on a daily basis, our selections do change regularly. Not all selections are available for pick up; orders are recommended. 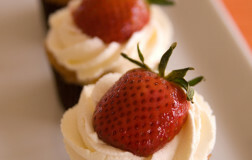 $4.25 $51.00 per dozen Cupcakes that are frosted in fresh whipped cream or cream cheese frosting are not recommended to be displayed in outdoor events due to temperature sensitivity. 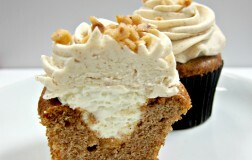 Use butter cream frosting as an alternate option or keep in refrigerator until ready to be displayed and served.